The Big Crunch ‹ CHEP Good Food Inc. In recognition of World Food Day (October 16 annually), CHEP Good Food and Saskatoon elementary schools organize The Big Crunch – a celebration of healthy eating, local food, and school community spirit. 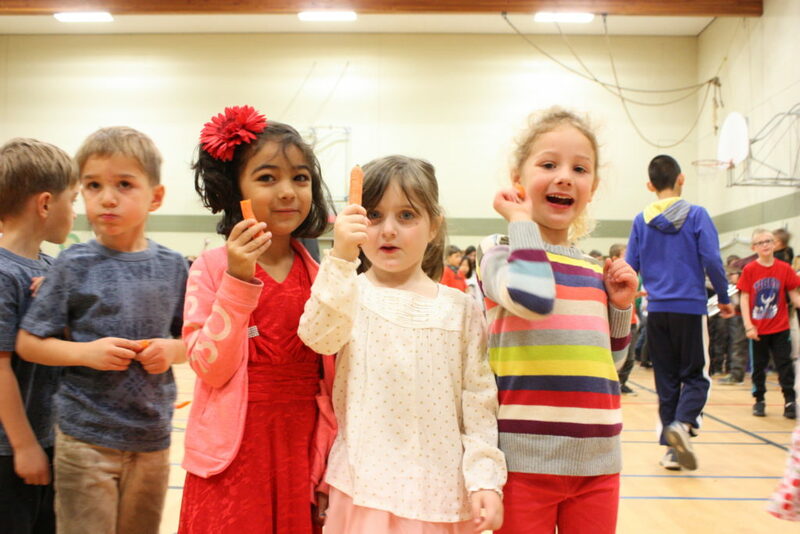 At 11 a.m. on the day of The Big Crunch, students taking part in assemblies or classroom activities all bite into a locally grown carrot in unison, in a CRUNCH heard around Saskatoon! 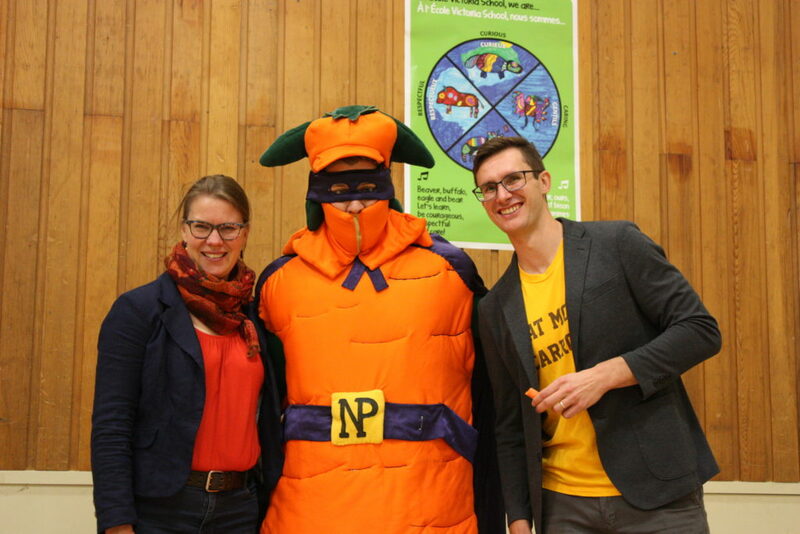 Schools are encouraged to participate in activities during the week leading up to the event, promoting nutrition and highlighting the “journey of the carrot” from seed to garden to plate. For activity ideas and curriculum connections, please see Teacher Resources. 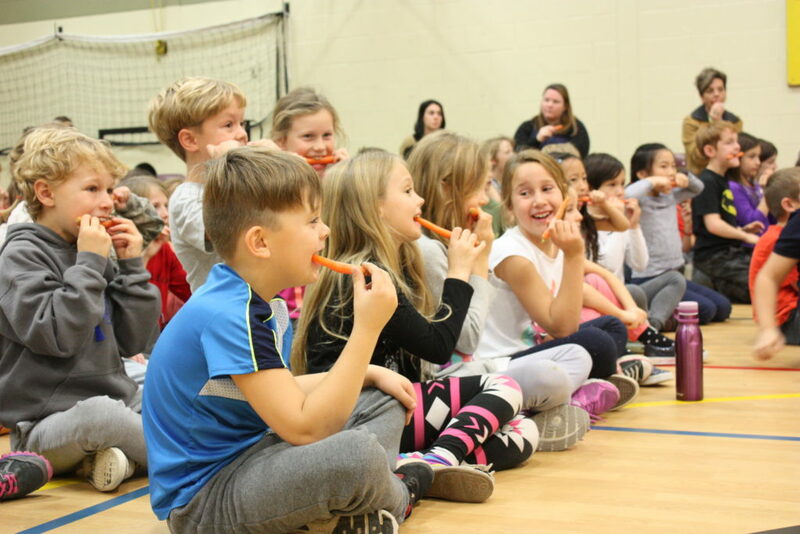 The Big Crunch is also a national event to raise awareness of the importance of healthy food and nutrition programs in schools. CHEP is a member of the Coalition of Healthy School Food – a coalition of groups from across Canada that work to lay the foundation for a lifetime of healthy eating habits. World Food Day celebrates the founding of the UN Food and Agriculture Organization on October 16, 1945. Events are organized in over 150 countries across the world to promote awareness and action for those who suffer from hunger, and for the need to ensure food security and nutritious diets for all. 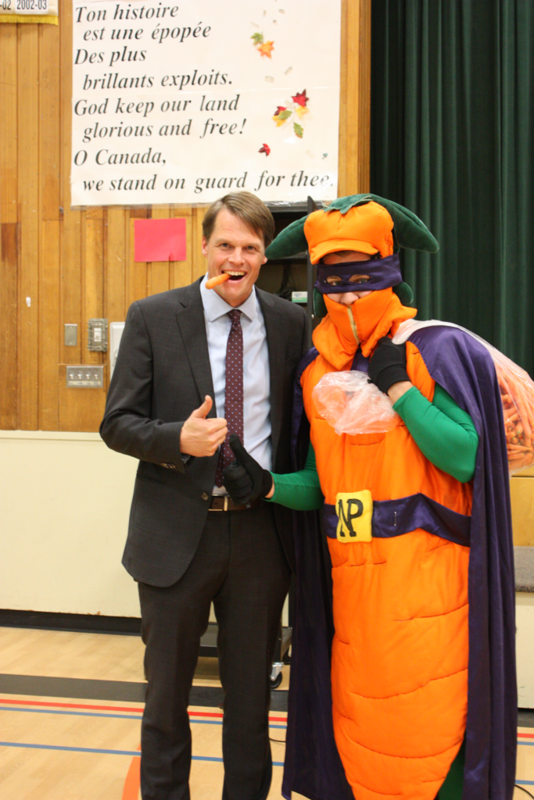 To register for The Big Crunch and order local carrots through CHEP, download the registration form and return by email or fax. For more information, email our Children’s Nutrition Coordinator or call 306-655-4575 ext. 232.